As KCELT is planning and designing learning initiatives, institutes, and events for the year 2014, the NMC Horizon Report for Higher Education was released. 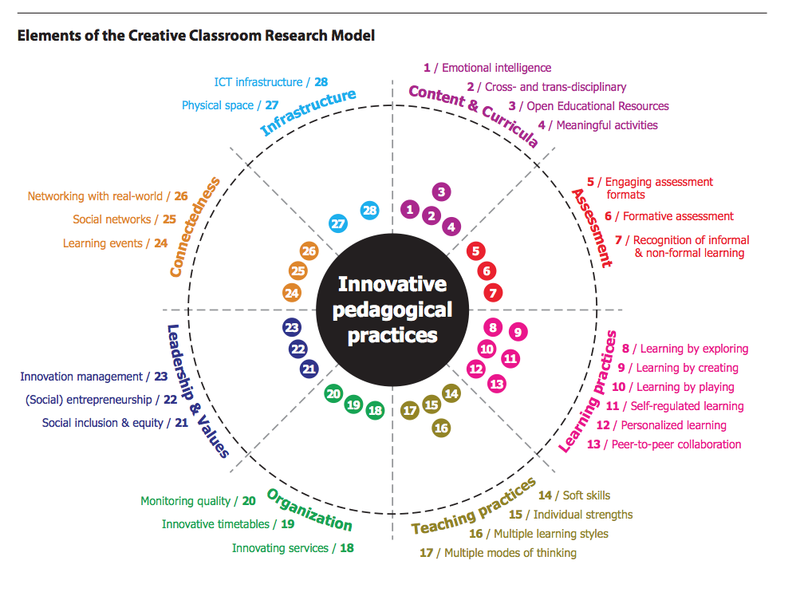 This report identifies and describes “emerging technologies likely to have an impact on learning, teaching, and creative inquiry in education.” You can access and download the report at http://www.nmc.org/publications/2014-horizon-report-higher-ed. The image above comes from this report. This report has provided KCELT with more ideas than we can develop with our faculty in one year. Because our mission is to provide Kirkwood Community College faculty with skills and knowledge to promote 21st Century learning, we would love to learn more about faculty needs. From here, we can let our learners know the strengths and dedication of our faculty. Looking at the figure above, you can identify your strengths and ideas for continuing your lifelong learning. Just based on looking at the graphic – I haven’t read the whole report – I want to see more competencies in perhaps the leadership and connectedness arenas about communication. I do like this though, thanks for posting. I’ll put it on my wall as food for thought!